Suppliers | Let's Partner Together. Our supplier partners embracing our sustainability goals is absolutely essential. As we procure products and services, we ask our suppliers to carefully look for ways we can minimize our environmental impact. Product reengineering to reduce packaging. Utilizing sustainable ingredients and methods. Concentrated products to lessen manufacturing and transportation resources. Working with transportation providers to minimize travel of products. Providing options for purchase of organic and environmentally friendly products. 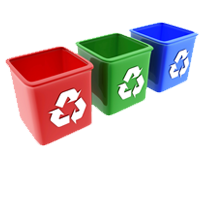 Providing solutions with recyclable packaging or content. Providing our procurement managers with electronic files instead of hard-copy books for products. We honor truth, fairness, and honesty above all else and treat integrity as a constant and absolute.